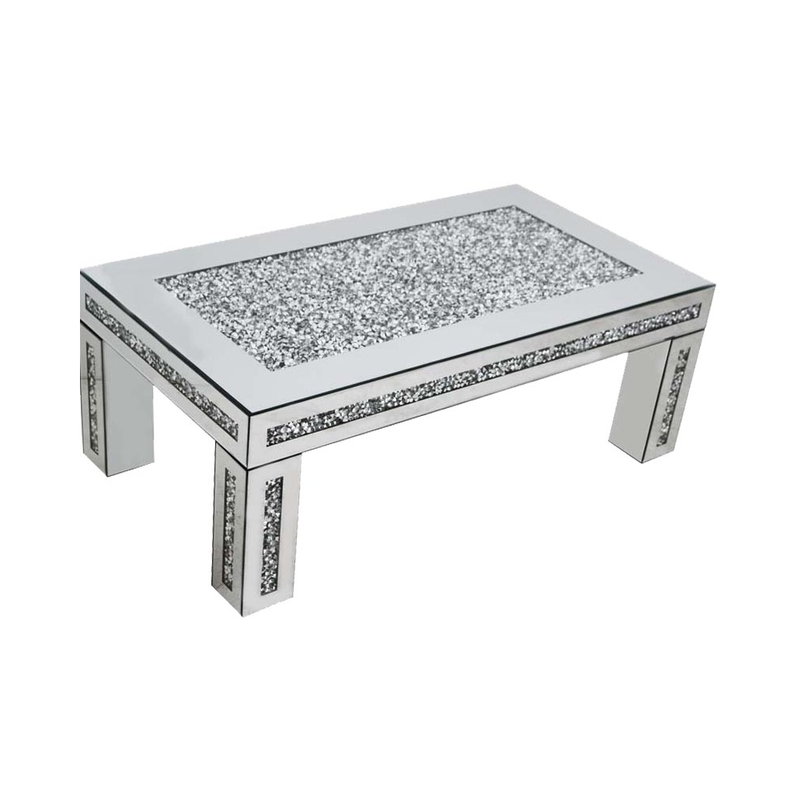 This is such a stunning mirrored coffee table which is decorated in diamond like crystals throughout most of the table. The crystals are all bordered in with mirrors, making it have this sleek and elegant look you can see. This table also has an element of modernness to it. This beautiful table is part of the Gatsby collection.